As is apparent, these homes are attached to one another. They’re also apparently historic and have a “house” feel to them. Or, in other words, they don’t look like condos, town homes or apartments. This type of arrangement is common in some parts of the world but rare in Utah. However, it shows that it’s possible to cut out the wasted space between houses without turning your street into Brooklyn (much of which is very nice, though). And yet, as I understand Provo’s building laws, this would actually be illegal to do today. This also has some other obvious benefits: energy savings, less yard maintenance, etc. And while these houses are clearly not in a high density neighborhood, this design could be repeated over and over to create many attached homes. Or not; like everything, it’s just one more option for increasing density without sacrificing quality and there are almost infinite options for the final configuration. Empirical results show significant links between housing age diversity (historical development pace) and four measures of neighbourly social relations, even when controlling for other neighbourhood housing features, social composition and individual sociodemographics. It may be that gradual redevelopment preserves community ties, which may take decades to form and which new residents may ‘inherit’ from previous neighbours. Neighborhoods with a diverse mix of building ages foster the most social ties. 1. We shouldn’t be building sprawl, which by definition lacks buildings of diverse ages. This finding seems to support my view that gussied up suburbs like Daybreak aren’t going to be really great for a 100 years or so — after they experience redevelopment. And in any case, it’s tragic that we’re building sprawling, car centric places that aren’t going to be worth anything until long after we’re all dead. 2. Flipping the article’s thesis on it’s head, we should be adding new structures to historic neighborhoods. Just as contemporary neighborhoods like Daybreak don’t work because they’re entirely new, old neighborhoods need diversity as well. This supports the idea that we need infill in historic neighborhoods. I don’t know why this isn’t happening in Provo’s residential neighborhoods; the benefits far outweigh the challenges. Historic buildings are great, but it’s also important to continually add new structures to the mix as well. This fun new building is located in downtown Salt Lake. 3. “Social ties” should be a goal when deciding how to plan our cities. Provo is more or less doing this right now with the Center Street redesign, but few other projects seem to begin with the primary goal of fostering more, better social interaction. However, if we do take that as our objective many disagreements — and pointless NIMBY complaints — will be easier to solve. 4. And, finally, Jane Jacobs’ style observational analysis is a valuable way to understand the built environment. That may seem obvious, but our most expensive projects along the Wasatch Front — the I15 Core project, the proposed super street, the interchange catastrophe — are operating under an entirely different set of assumptions. As some people know, Laura and I have been staying with my parents in Cedar Hills for the last little bit as we figure out our living situation in response to my job at the Tribune. Living in Cedar Hills makes a lot of sense for us; Laura can walk to work and because I have to have a car anyway, it makes the most sense for me to drive (as opposed to Laura) to the office. But here’s the thing, Cedar Hills is so soul-crushingly boring we would never consider living there, no matter how convienient it was. Seriously, not long ago we had a 30 minute discussion about whether we should walk to the Walmart — the only thing within walking distance — and wander around, or if we should just sit around doing nothing. That pretty much sums up our choices. There aren’t even any non-chain restaurants within biking distance. This is a familiar experience to many people living in single-use, suburban style neighborhoods, but some cities may be underestimating the importance of liveliness as a selling point. This is standard “creative class” stuff that I’ve covered over and over on this blog, but the point still remains: fostering vitality is as important as anything if you want people to actually live in your city. 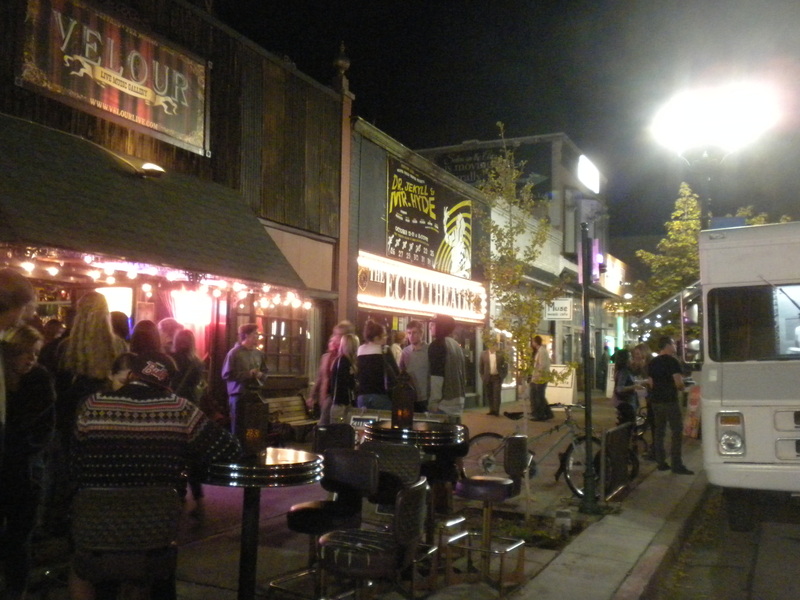 Provo’s 100 Block — or the area around Velour — is often bustling. But a successful city can’t have just one cool spot (that appeals to a small group at that). This type of vitality needs to be studied and encouraged all over. Provo does a fair job at this, all things considered, but I still know a lot of people who leave Provo or won’t consider it in the first place, because there’s nothing for them to do. The more time I spend in Salt Lake the more of these people I meet, and I’m surprised when I find myself agreeing that there probably isn’t anything for them in Provo. If you don’t want to play in an indie band or see very Mormon jokes, what is there to do really? Relatedly, if you’re older than, say, 26, there’s also not much for you to do. I once even had a friend who even gave Provo a try, but moved up to Salt Lake less than a year later — despite working in Provo — because there was no social scene. There are a few lessons. For example, Provo needs a more diverse “hip” atmosphere. A great music scene doesn’t appeal to everyone and can be hard to break into, so there need to be many more options. And it’s not impossible for civic and business leaders to cultivate a more diverse cultural environment. It’s also worth considering the LDS single adult scenes in south Salt Lake County. They’re legendary and Provo loses people to those areas. For people who are not LDS, there is even less to do in Provo. 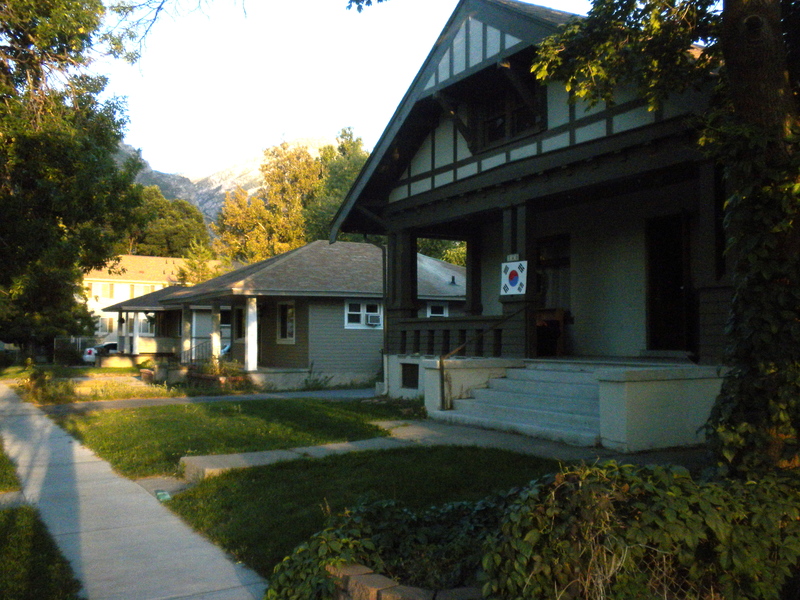 One of Provo’s greatest advantages is that many of its single family homes are not actually single family homes; instead, they’re duplexes due to accessory apartments in basements, attics, yards and garages. Though for some reason some people dislike accessory apartments (I don’t understand that sentiment), they are in fact a tremendous asset for the city. Some of these homes are owner occupied, but some of them also still have accessory apartments. This article from The Miami Herald highlights some of the advantages of accessory apartments and notes their growing popularity. The article states that demand for homes with “multigenerational” units is growing and gives people added flexibility. Big families can still use the space all for themselves, or they can house relatives, make a little extra money, etc. with the separate units. Some home buyers just like the flexibility of a home within a home. Jenny Diaz and her husband, Rolando, are planning to move next week from Hialeah to their new home in The Vineyards with their four kids ages 13, 9, 7 and 5. “It’s perfect for us. You have options of what you are able to do with the space,” said Jenny Diaz, who works in quality assurance at a doctor’s office. Her family picked The Shiraz, which includes a 600-square-foot suite adjacent to the main home, a three-bedroom, 2 1/2-bath-room, two-story structure. In my own case, an accessory apartment actually made homeownership possible. Having an accessory apartment also has other benefits: it means someone is usually home so break-ins are less likely, it increases eyes on the street, it capitalizes on our grotesquely overbuilt parking infrastructure, etc. If I had my way, we’d never build another single family home in America without including an accessory apartment. Because homes with accessory apartments can usually still be used as single family homes, buying or building a space without the potential for an apartment is basically throwing away money. But perhaps the best reason to add accessory apartments is to increase density. As I’ve written previously, Provo badly needs to increase its density even as some good intentions send the city careening in the wrong direction. 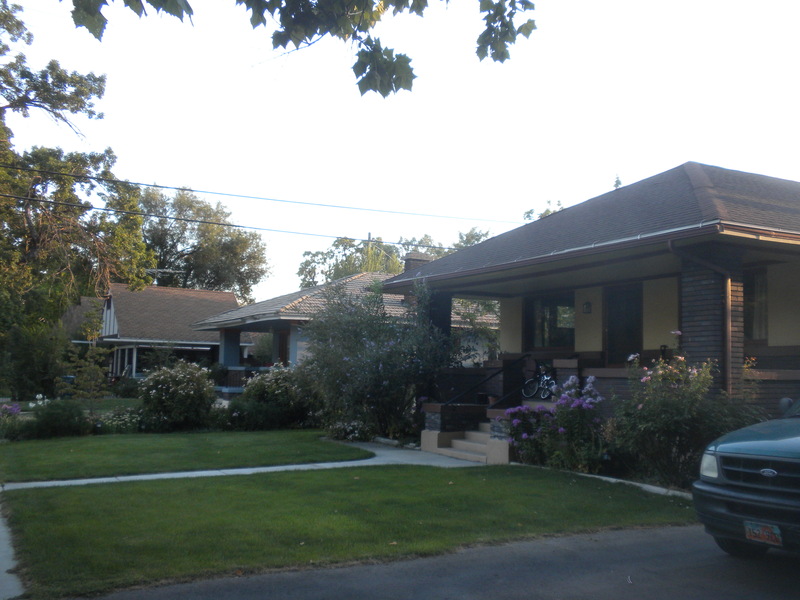 The charming bungalow in the foreground of this picture looks like a pretty typical historic home. But because it has an accessory apartment it actually adds twice the density of a ordinary single family dwelling. Accessory apartments are one way to increase density without fundamentally changing the look and feel of a neighborhood. It’s a soft solution. Homes still look every bit as “homey” and charming, they’re just vastly more efficient and flexible. 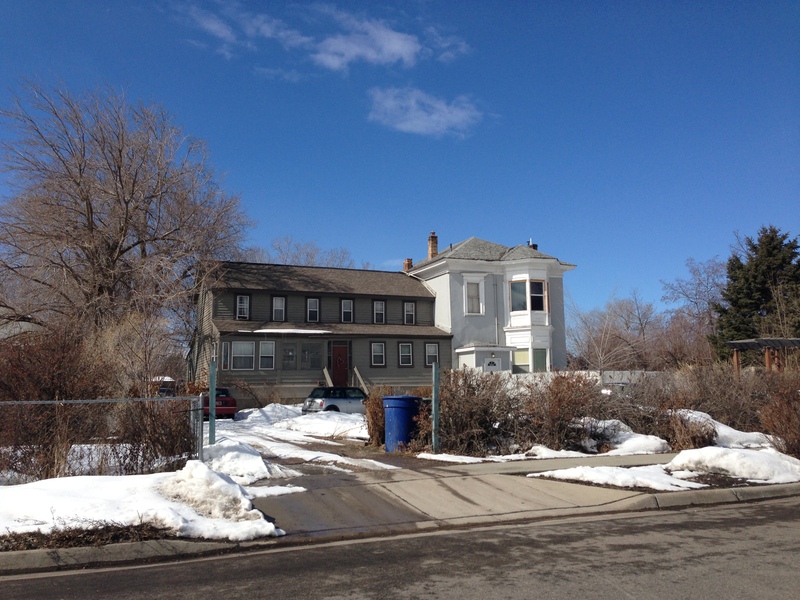 As a result, it’s my hope that homes with accessory apartments proliferate in Provo. In a recent post I argued that cities should try to increase the amount of on-street parking they have available. 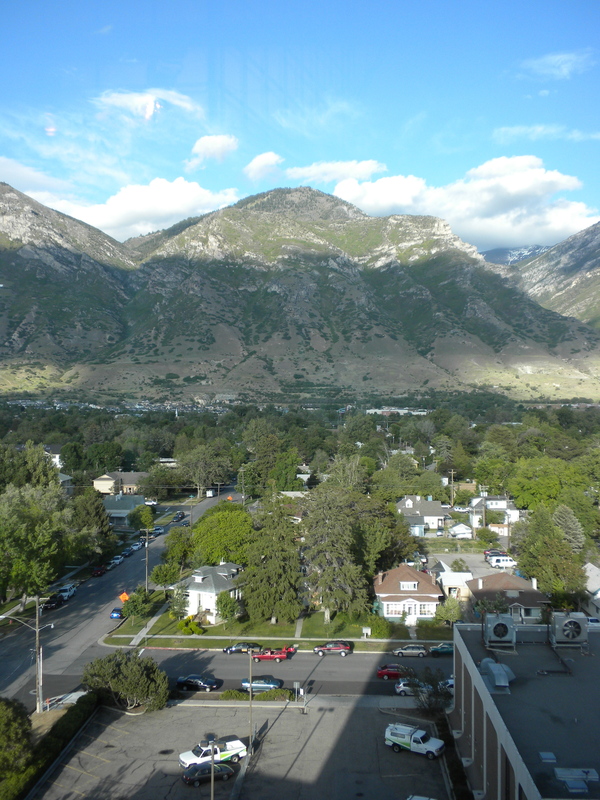 In Provo, that would better take advantage of existing infrastructure and would allow some of the private parking — of which there is a sickening 12,744 spots in Joaquin alone — to be developed into family housing. But Provo already allows street parking, so how can it add more? Angled parking uses less linear curb length per parking space than traditional parallel parking so more spaces can be provided on the same block. In addition, angled parking acts as a traffic calming device because a passing driver is aware that a parked vehicle could back into the roadway at any moment. People in Provo will be familiar with angled parking from Center Street, where it lines both sides of the street as well as the median. And though this type of parking is more common in commercial districts like downtown, the traffic calming effects would be a great addition to residential neighborhoods as well. Indeed if we’re not going to make our streets narrower, we can at least de-incentivize speeding and unsafe driving. Angled parking on a residential street. In the picture above, the green lines represent the new angled parking, the blue boxes represent parked cars and the yellow boxes represent moving cars. I know it’s pretty rough, but you get the idea: today’s dead space is turned into the parking space of tomorrow. As I hope is apparent, there’s plenty of room for this solution on Provo’s residential streets. I’ve chosen to stagger and limit the amount of angled parking in this picture because I think it looks better and might be better for traffic flow (and to preempt people who don’t want too much more street parking). However, there’s more than enough room to put in angled parking everywhere if people really wanted to be efficient. Also note how in the picture traffic is basically not impacted by the addition of more parking. Right now this is a two lane street and with angled parking it remains a two lane street. The only thing this changes is that suddenly we’re getting more value out of our infrastructure investment. A street just off of 9th East. Angled and parallel parking in a mixed residential-commerical area of downtown. This picture was taken just up the street from the last one. I think this house is technically zoned for commercial use, but there’s no reason this parking strategy wouldn’t work in purely residential areas. I realize that some people in Provo really dislike on-street parking. While I don’t fully understand the logic behind that position, I recognize that a bunch of angled parking on residential streets probably doesn’t sound like a great idea to everyone. In any case, even if you don’t care about efficiency and getting the most out of our infrastructure dollars this idea makes sense because it allows us to reserve less of our residential land for parking. The streets exist and, despite my calls to narrow them, I’ve been told that they’re probably going to stay more or less the same. If that’s the case, we need to figure out better ways to use them. I’ve argued in the past that Provo desperately needs narrower streets. Wide streets encourage speeding, cost tax payers more money, waste land that could be housing for families, and just look kind of ugly. 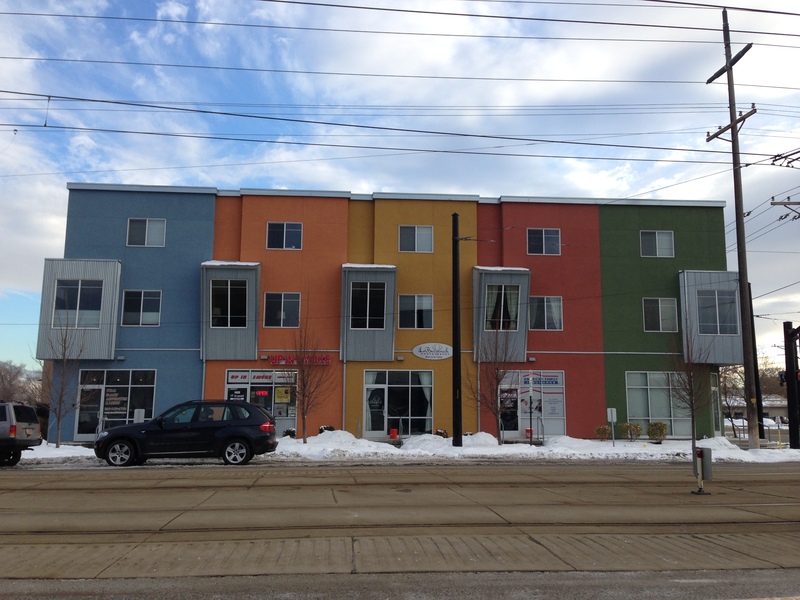 This was a major idea in my proposal to build housing in Provo’s streets. But would they really work? Could Provo drivers cope with less space on the road? Actually, they could, and quite easily. Most people don’t routinely drive on the snow in these pictures, meaning that after a snow storm the streets are effectively half as wide. The picture above shows that narrower streets do not immediately cause horrible traffic jams. They don’t reduce safety (though unplowed ice certainly does). And they don’t generally create many problems. In fact, in the background a van is visible and it still has a lot of space; even if the sidewalks were extended to where the snow currently ends there would still be some room for street parking. Indeed, narrower streets offer ample space for moving and parked cars in many cities all over the world. I wish Provo would just cut all its wide streets in half. If nothing else that would mean less wasted money on things like snow plowing and repaving. But I realize that that’s unlikely to happen. What this picture realistically shows, however, is there there is considerable wasted space on the street that no one actually needs. So, why not convert it to something more useful, like parking? Parking issues remain a major complaint in Provo, and based on this image it’d be possible to simply install diagonal parking on every residential street. The cost of doing so would be minimal compared to other infrastructure changes and and it would reduce (or eliminate) the need for much of the residential parking that’s currently required. That, in turn, would allow for more houses to be built as infill. In other words, Provo could significantly grow it’s housing stock by encouraging more street parking and aggressively pushing development of current off-street parking. Population, taxes, diversity and economic strength would likely follow. A neighborhood in West Valley City. The picture doesn’t show very much, but after I took it I was surprised at how much information I could glean. And unfortunately, most of that information isn’t good. Probably the most obvious sign of trouble is the graffiti on the street sign. I’ve written in favor of street art in the past, but this work clearly has… questionable artistic merit. In a nutshell, it goes to the broken windows theory that says that a mess in the built environment breeds additional problems. But that isn’t the only problem here. What’s probably even more telling is that there no sidewalks. That means anyone who wants to walk has to do so in the street, with the cars. So it’s a hostile environment for people. The chain link fence and the weeds aren’t doing the street any favors, but I think many of these problems trace back to the lack of walkability. It means there are fewer people out on the street — so there’s no one to catch vandals or other criminals — and that people who can chose to live in a more hospitable setting will. A recently refurbished home in West Valley City. That’s one of the saddest pictures of a neighborhood I’ve ever taken. It also bodes very badly for the long term prospects of this home, the neighborhood, and nearby projects like this one. But the point is that the real problem here isn’t vandals, or chain link fence, or lazy owners who create homes that need refurbishment. All of those things are merely symptoms of a larger issue: this area is not well-designed. And until it becomes more hospitable to people all the refurbishment projects in the world aren’t going to put an end to the crime and social problems for which West Valley City is known.